I am always on the lookout for new bath bombs to test out as I love bath bombs, so when the Lush Christmas range launched we all knew I would be close by didn't we! I decided I would pick up a few and I couldn't wait to try them. 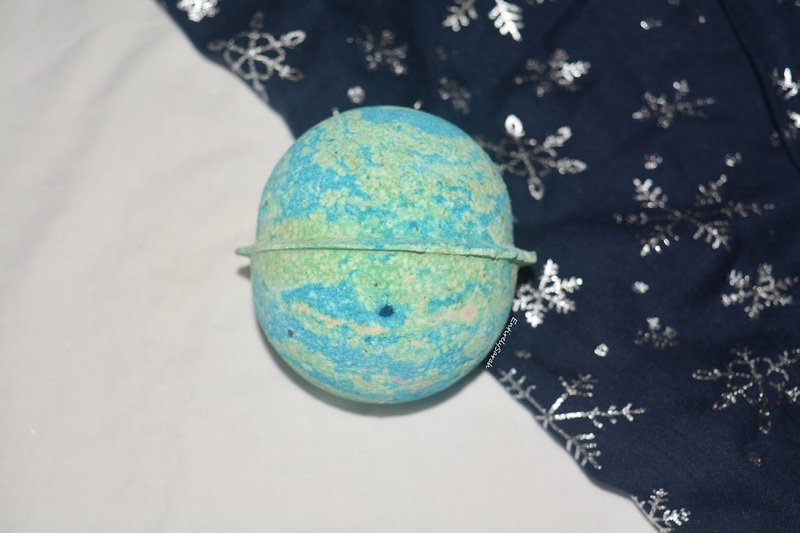 In terms of reviews I decided I would start with the Thundersnow bath bomb as it looks the least festive and so for still being in November I thought it was OK to get away with! So lets see how it worked in the water. On the outside this bath bomb looks a lot like planet earth in my opinion. I love the swirls of blue and green and think it looks so lovely. 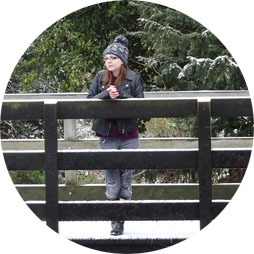 I think this is a nice one if you want to treat yourself to something limited edition from the Christmas range but don't want to commit to having something obviously Christmas, especially if your adverse to Christmas in November! 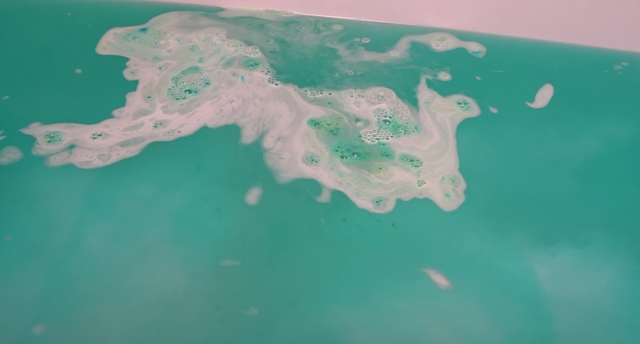 The bath bomb is scented with peppermint oil as well as Colombian cocoa absolute and this is the perfect mix to make it smell like mint chocolate. This honestly smells so good and I recommend it if you love mint chocolate as it definitely smells better than it sounds. I am not usually one for chocolatey scents but I love this. 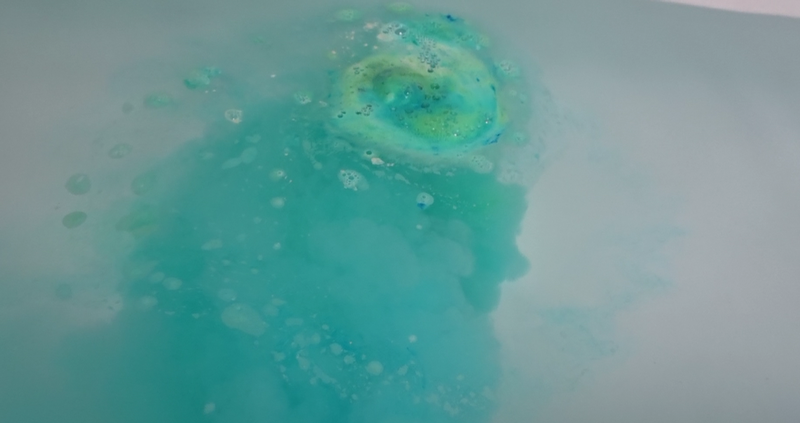 When dropped into the water the bath bomb looks beautiful, it immediately begins fizzing away and creating patterns of green and blue in the water. This is so beautiful and fills the bath with the swirls of colour which you expect from the bath bomb looking at it on the outside. The scent filled the air and the bathroom smelt amazing when I had used this, I really couldn't believe how good it made it smell. I was so fascinated with the scent and the whole look of the bath bomb. 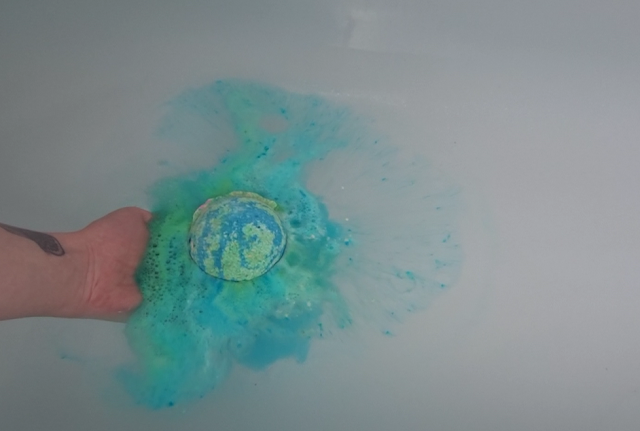 When I thought this couldn't be any more magical the storm element arose and the popping candy hidden within the bath bomb crackled and popped sounding like rumbles of thunder in a snow storm, hence the name. This seemed so magical in the water and was one I really enjoyed watching and seeing. The bath was left a beautiful shade of blue and I was very excited to climb in! 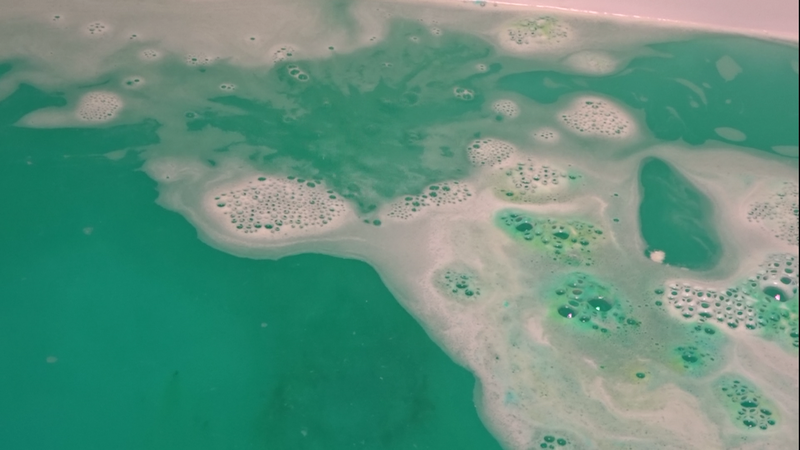 The bath bomb is such a lovely on if you want a hint of festivity, this reminds me of After Eight mints, which although you can get all year, tend to be a Christmas staple. I love the way it worked in the water and the bath bomb really captured the sky, the clouds and the stormy thundering sounds that rumbled through the bath to liken the bath bomb to its name. Overall I was really impressed with this one and I like it enough to go back and buy another should I get the chance, however I have quite a lot to try between now and Christmas and so I think I will see if I need any more before I commit to buying any. At £4.50 online here, I think this is a lovely bath bomb, festive enough or the November months, and to carry forward until Christmas, yet subtle enough that we don't feel like we are jumping the gun on Christmas! I would love to know what Lush bath bombs you have been trying lately, or if you are loving some from any other brand then I would love to know too as I love all kinds of bath treats! Amazing layout an content. Love your style.I am so grateful I found your web site.So beautiful and skilfully created. Your blogs ceases to amaze and inspire me. Keep sharing such wonderful posts and maintain the same quality in your post.. Incredible post keeps up posting such great information. You can use this best essay writing service for any kind of academic writing work.